I love this. 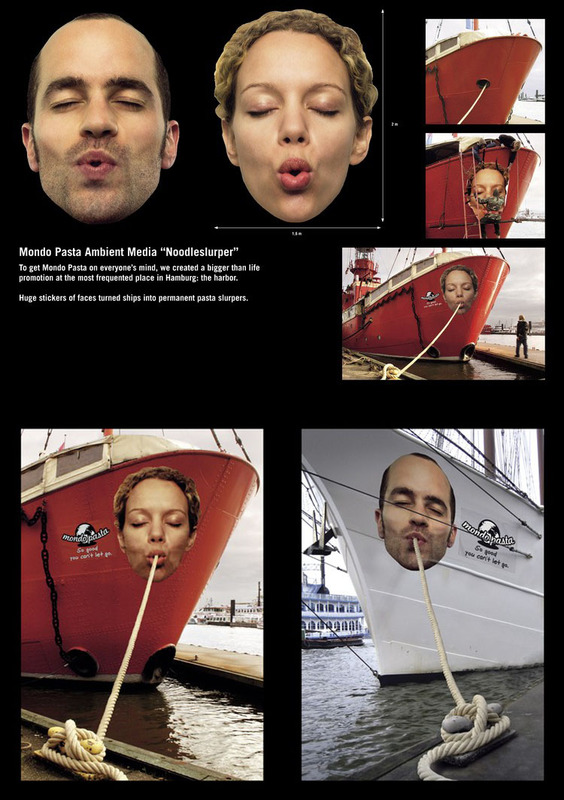 German Pasta maker, Mondo Pasta, created these playful ads for boats moored at the popular Hamburg harbour. 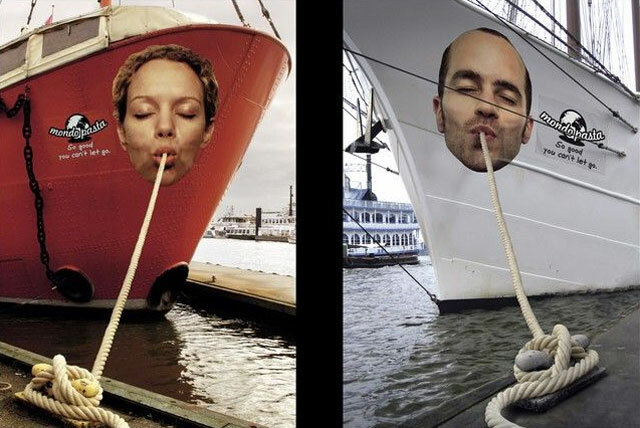 The tagline reads “Mondo Pasta, so good you can’t let go”.